The Reclaimed Flooring Company is a wood flooring business with a mission. A mission to keep wood, just like wood. A mission to create and supply newly hand-made, reclaimed and natural wood flooring that is timelessly beautiful, durable, environmentally friendly and full of character. Istoria by Jordan Andrews have been supplying beautiful hardwood flooring to designers, architects, trade and public since 2001. Manufactured in our North London factory, we bring an extensive knowledge of both engineered hardwood flooring and the construction industry. Drawing on inspiration across the design spectrum from older traditional finishes to modern styles, we continue to design and add to our archive of floor options every year, keeping our collections fresh and in tune with current trends. Customers can also create bespoke options to fit their space with an endless array of colours, patterns and finishes. From our onsite factory, we conduct quality control straight off the production line, meaning turnaround times are dramatically reduced with amendments and adjustments to your liking made immediately. Keeping abreast of trends and best practices has enabled us to work with some of the UK’s leading property developers, branch out to the hospitality industry and continue to grow our ever-diversifying portfolio. Quality is at the heart of Istoria by Jordan Andrews, from the initial property survey, to precise installation, using only the best tools and materials. Years of industry experience means we can also guide you in decision making if you decide to take the installation into your own hands or are passing onto a contractor. Once completed, we’ll ensure you have the knowledge and goods to care for your wood floor. We’re proud to be creating opportunities for skilled craftsmen and supporting the British manufacturing industry. As specialist wood flooring experts, Fin Wood is dedicated to creating hardwood floors "crafted for life". From restoration to complete bespoke installations, we guarantee the highest quality work and pride ourselves on our excellent customer service. We pay close attention to the intricacies of flooring design in every floor that we fit. Our most important guideline is excellency, where we believe there is no room for compromise. We approach each project individually and consider its specific requirements – which is why we always carry out a proper on-site assessment. This helps us to appraise the site conditions and gives us a clearer understanding of a client’s brief, so we can deliver the best results. Wood is a wonderful natural material that becomes more beautiful when crafted. We are extremely passionate, experienced and knowledgable about working with wood. For us, its the details that make the difference between an ordinary and exceptional floor. We particularly relish challenging installations, as we have the technical ability, along with the excellent design and fitting skills, required to overcome any complexities. London's Bespoke Flooring Experts | Visit Our Showroom or Shop Online! We pride ourselves to be the only company in the UK offering this immense variety of hardwood products including flooring, worktops and decking to our valued customers. All are sourced and produced to highest quality standards while complying with European forestry trade regulations. Our range and prices are unbeatable thanks to our 10 year relationship with the biggest manufactures in the market. The products you see on our website are all in stock and ready for immediate delivery. The hardwood is sourced straight from the manufacturer and by marketing directly online, we are able to offer premium wood products at the most competitive prices. You can also visit our Northwest London showroom on Finchley Road to meet with our advisers and see our beautiful products in person! 3D Royal Floors is a resin flooring specialist, with experience in residential, commercial and industrial resin self-levelling flooring. Our rich heritage and expereince allows us to create decorative self-levelling resin floors of various complexities with high quality guaranteed. We focus on rapid delivery times, service, expertise and reliable advice. As a flooring specialist with a wide range of resin flooring for every space, we offer our clients the best flooring options based on our client’s needs and requirements. Whether high or low requirements of the floor, 3D Royal Floors offers the perfect solution. We offer over 400 luxury seamless resin floor designs, work all around the UK, and leave our clients happy with the highest quality. We love what we do and our work proves it! What are you planning? Contact us today to arrange a consultation. Our team of woodworkers and finishers believe in constant innovation. From exacting standards of design detail to rigorous quality control, every aspect of production is considered as ‘Art’. Though each floor we make is beautiful to the eye, it has a built-in practicality promise, that means it will stand the test of time in both commercial or residential areas. Our quality assurance means we only ever stock the very best certificated Oak and American Walnut, at our factory in Yorkshire, England. A large, on-site stock holding, means we can ensure a swift response to ever demanding deadlines, that what we’re all about. Parquet is usually a tricky flooring option... The concept for Cheville stemmed from a desire to take the tricky and turn it into something simple. And here's why.. 1. Its engineered - Because they are engineered, all of our parquet blocks can be laid direct on top of an underlay, this is especially important for the homeowner wanting to reduce noise below if living in an apartment. They are also suitable over under floor heating. 2. Its Pre-finished - Usually parquet requires sanding and sealing after installation, our floors are expertly hand finished before they are despatched, so installation is similar to laying an engineered plank floor. 3. 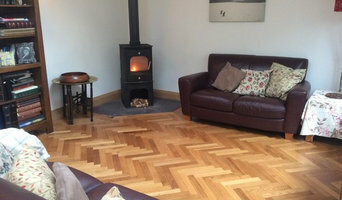 Its affordable - Usually parquet is way beyond most peoples budgets, but ours range from £57 to £86. With installation working out at around £20. 4. Its bespoke - All of our floors are expertly hand finished using Dutch Hardwax Oils. All of our stock is held unfinished at our factory in Yorkshire. We have over 70 stock shades, but can do bespoke finishes upon request. We can do distressing, wire brushing, band sawing and hand scraping. 5. Its planned out - We take a plan of the proposed floor space and work out how many blocks will be required for the project, meaning no under or over estimations. Clients can see how the floor will look in the living space before they have it. If a client wants a border, we plan it out on a CAD system and cut all the blocks to size.This way everything fits like a jigsaw puzzle when it arrives on-site, making installation simple and leaving little room for error. 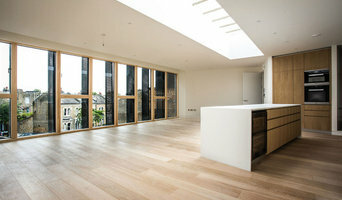 Based in London, we offer high quality wooden floors of all colours and finishes for your home. Wood flooring is the most natural and versatile option for your floors, adding beauty and increasing the value of any property. Our range of flooring is crafted across Italy, UK and Germany. We can help you with every aspect of your flooring project, as we offer a design, supply and fit service. We offer a vast array of floors from the economical starting at around £30 to luxurious options at over £500 per square metre. Our team of artisans can produce bespoke designs for any budget, and we offer an expert installation service. We also offer a unique and exciting CGI service, allowing you to visualise our flooring in your own rooms. Simply send us a photograph of your space, and we will produce a high quality view of your room with your chosen flooring. Starting from just £50, our CGI images are fully refundable when you place your order. What’s more, our in-house architect is a cost-efficient way to help you design and plan your new space, including floor styles, colours, furniture and layout. PLEASE CALL US FOR A QUOTE and we can help you with any questions. Feeling overwhelmed by all the flooring options? To help you understand the technical terms, we have produced a quick reference guide below. — Your Flooring Guide: Engineered floors - these are made of layers of different types of wood. They are extremely stable and can be installed either onto a flat existing floor or floating over an underlay. Engineered floors are ideal for underfloor heating. Pre-finished floors - these are either varnished or oiled and ready to be installed. They do not require any other treatment, which makes installation fairly quick. Varnished floors - these are painted with a natural varnish that forms a thin film over the top layer. Oiled floors go through the same process but the oil absorbs into the grain of the wood. Varnished floors can come in many different colours while oiled floors are more restricted. Finish - a floor’s finish is the mechanical machining of the surface. This can be sanded, brushed, scraped etc. Each different process gives the flooring a different appearance. Hemghar is a husband and wife team of designers specialising in beautiful bespoke rugs for the modern day home. Through years of travel, research and experience scouring for the best in both vintage and modern rugs, we have created a handpicked collection which we believe offers an exciting glimpse into the timeless craftsmanship and vibrant beauty of vintage and hand woven contemporary rugs. Based in Notting Hill, we work with interior designers, stylists and homeowners individually to guide them through the experience of finding the perfect rug for their home. We hope you enjoy our selection, and look forward to helping you find the perfect piece for your home! Visit our studio or browse the collections on our website! With over 14 years since opening we are extreamly passionate about parquet and carpets. Urbane Living are inspired by what we do and aim to inspire our clients with our product variety, showroom and above all dedication to customer satisfaction when it comes to selecting, designing and fitting the perfect floor. Our focus is on high quality wood floors manufactured to exacting standards and available in many formats including wide plank, herringbone, chevron and parquet panels. All our timbers such as Oak, American Walnut and Plantation Teak are sourced from sustainable resources and often available with FSC or PEFC certification. All our floors are factory finished with hard wearing oils, waxes and lacquers. Our expert staff in our showroom have many years of experience in parquet flooring. 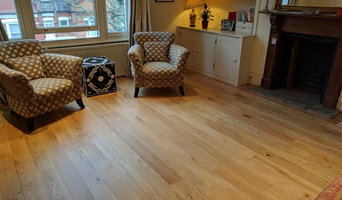 Working with you from the initial phone call or meeting to your stunning new floor we make the journey to a wonderful new floor seamless and enjoyable. Urbane Living carpets and wallcoverings are an excellent compliment to our wood floors and we have an extensive range of luxury carpets from Roger Oates, Fleetwood Fox, Jacaranda, Crucial Trading and Alternative Flooring Company to name a few. Visit our large West London shop where our experienced sales staff will be happy to provide expert advice and service! We look forward to helping you. Fairfax Flooring is an importer and supplier of the highest quality hardwood floor and carpets. These range from solid wood, engineered wood flooring, laminated flooring, luxury carpets and decking to suit every taste and style. Our London flooring company offer well-known, tried and tested brands at very competitive rates - as well as expert installation. With our expertise and experience you can be sure that we’ll look after you. Our showroom in Hampstead contains a wide range of samples and finishes and our team will guide you through the choices, while you unwind in our cosy lounge. We are there for you from the initial enquiry to the aftercare and maintenance. Plus, our in-house interior designer's advice could save you time and money in your project. That is what makes us the best in the business. Prestige Custom Wood Flooring LTD was established based on the market requirements for high quality bespoke floors. We work side by side with interior designers, architects and private clients to make some unique finishes that last for many years. We pursue our wood passion and push boundaries for the finest quality and craftsmanship possible. We take pride in offering a unique combination of high quality that few others can. After many years we build up a solid portfolio and 100% customers positive reviews,Prestige Custom Wood Flooring LTD became a high valued company through the customer views. Jennifer Manners Bespoke Rugs is a small design studio that specialises in custom made rugs. We work with the finest artisans in Nepal and India to ensure that each piece is exquisite, personal and unique to you. We work on large hotel projects as well as small residential projects. We are passionate about creating gorgeous rugs! Looking for a quality wooden floor? Hi, I'm Dominik. We make amazing seamless polished concrete walls and floors! We use microcement to create a polished concrete surface, bespoke and hand applied. Each project is unique to you. We take care of everything. Irrespective of your choice walls, our coverings are well polished, unique, simple and does not get stained with dirt or scrubs. The finish is highly durable, stain and water resistant, eco-friendly, breathable and long-lasting. We provide a bespoke service for your project and style. Please check out our existing projects here and feel free to send us questions and ideas for your project. Please call or email for more info. Regards, Dominik. Where can I find the best London carpet fitters? A carpet professional will often both supply and fit carpets. A full service carpet professional can offer everything from a catalogue of carpet colours and pile options to carpet accessories like underlay, gripper rods and door plates. Carpet fitters will need to measure your home and they will provide you with an estimate for materials and fitting service. Similarly, if you need someone to help with carpet repair there is a dedicated carpet professional in London just a few clicks away. Check the reviews of carpet fitters in London and look out for those who are members of trade organisations such as the NICF (National Institute of Carpet & Floorlayers) or the National Carpet Cleaners Association (NCCA). On Houzz you can search for flooring specialists and carpet fitters in London and start to shortlist companies by adding your favourite images to an ideabook. Think about the style of flooring or design of carpet that might best suit your room and then approach the most relevant experts who can then fit your carpets, lay tiles, install hardwood floors or show you how to fit laminate flooring. Your carpeting and flooring professional might work closely with London contractors, interior designers and others in the home building and home improvement industry. Here are some related professionals and vendors to complement the work of carpet & flooring: Interior Designers, Design & Build, Specialist Contractors, Main Contractors, Home Builders. What do I need to ask flooring manufacturers, installers and carpet fitters in London before I hire them? How long have so been in the flooring business or working as carpet fitters in London? Find carpet fitters and flooring experts on Houzz. Narrow your search in the Professionals section of the website to London carpet fitter and flooring professionals. You can also look through London photos by style to find a floor design you like, then contact the floor companies or carpet fitters in London that worked on it.